The value you can give your clients will depend largely on your experience, knowledge, resources and the volume of transactions your agency handles. Reminding clients what you do for them and being transparent throughout the process could save you sales and add to your referral business. A major contributing factor to these stats, as we found in recent research, was a lack of property guidance from agents. Guidance is a critical part of the services agents must provide. It’s the agent’s job to keep the client informed throughout the entire process. Our business depends on being able to provide value and help buyers and sellers save money, time and headaches. 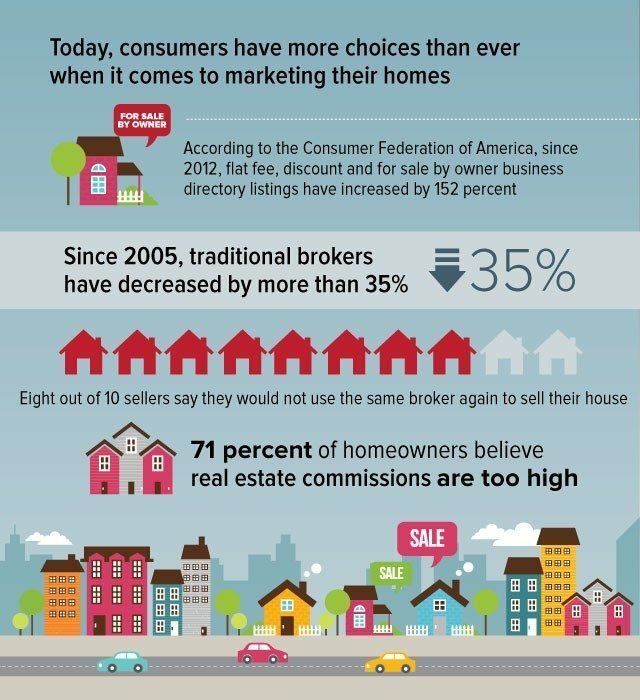 Our business depends on being able to help buyers and sellers save money, time and headaches. The real estate process is more complicated than ever — with disclosure statements, mounds of paperwork and ever-evolving technological advances in searching and selling. As a professional, you help your clients work through the process from beginning to end. One example is advising clients on how a purchase and sale agreement affects their transaction. This advice encompasses guiding buyers on how much earnest money to submit with a purchase offer, setting the closing date and other contract elements from termites to tax proration. You help make sure your client understands the meaning and consequences of all language in the purchase and sale agreement and other legal documents throughout the process. As an agent, you know how to present properties to other agents and the public in the most effective ways, and that includes providing relevant info to the MLS and helping price the home properly. Many transactions are the result of agents cooperating: One agent lists the house, and another pulls in a buyer. Many homeowners have lived in their homes so long they are not able to see its problems and attributes. You provide an objective viewpoint based on your knowledge of the market and provide professional advice on photos, staging, open houses and other essential marketing steps. Your knowledge of the neighborhood and pricing can help sellers identify upgrades that will make the home more desirable and increase the price. Your knowledge of the neighborhood can help sellers increase the price. Buyers should understand that unless they hire their own agent, they don’t have an advocate for their end of the transaction. A buyer’s agent will help them find the right home and pay the lowest price for it, not to mention counterbalance the seller’s agent and present buyers with a realistic picture of the neighborhood, home and the fair market value. Your expertise in the area and familiarity with local schools will help them narrow their search by using their preferences to eliminate undesirable homes. You help sellers evaluate offers and advise buyers on what kind of offer to present — especially how to make an initial offer that will lead to an agreement on price. Your experience will help the buyer make an offer that won’t offend the seller but will set the stage for continued negotiations that lead to a sale. On the other hand, you help sellers focus on getting the best selling price and bridging the middle ground on buyer requests. You also guide clients through the appraisals, inspections, financing challenges and closing process. Your knowledge of the latest technology will make the buying and selling process more efficient. An agent can notify buyers via text or email on new home listings, homes that are under contract and homes that have sold, as well as homes that have been taken off the market. For sellers, an agent can order a virtual tour with a professional photographer contracted with the MLS. That photographer will get great shots and create a slideshow for prominent real estate websites. You can stress personal safety with all prospective clients. You accompany and show homes to prospective homebuyers, which gives them peace of mind. You provide sellers advice on how to conduct home viewings safely — an important consideration when they’re letting strangers into your home. Agents also have access to sophisticated lockboxes that can only be opened at certain hours and by a licensed real estate agent in good standing. The lockboxes record the times and dates when an agent entered the property while giving buyers and their agents the keys to a seller’s house. This way, sellers can know exactly who has had access to their home and belongings while also making the home available for showing on the buyers’ time schedule. Today, 97 percent of buyers start their search online. Buyers spend exactly two seconds looking at photos before they move on, and rule out homes due to bad photos or staging. 97 percent of buyers start their search online. Buyers spend exactly two seconds looking at photos. As agents, it is our job to offer seller guidance with staging and photos to ensure opportunities aren’t missed. The way a home shows online matters most to selling success. With more choices and competition than ever, agents must be transparent and ready to answer all questions about the processes they use. Be prepared to tell your clients specifically how your services will benefit them, financially and in other ways, and answer questions about timing and process. Changing our communication styles is key. While attending Business Mastery in London, I had a breakthrough. I realized that we had been using terms such as “save” and “not waste” when talking benefits of our flat-fee business model for 13 years. But now I tell sellers that they will “make” $9,000 more on average — because it’s active and positive. Sellers and buyers are move savvy than ever, so you must be able to explain in detail how you will provide them with real value. Real estate expert and consumer advocate Rhonda Duffy is documented and ranked the No. 1 Agent in the U.S. for recent sales by Zillow and the No. 1 Agent in Georgia 10 years in a row. Follow her on Twitter or Facebook.